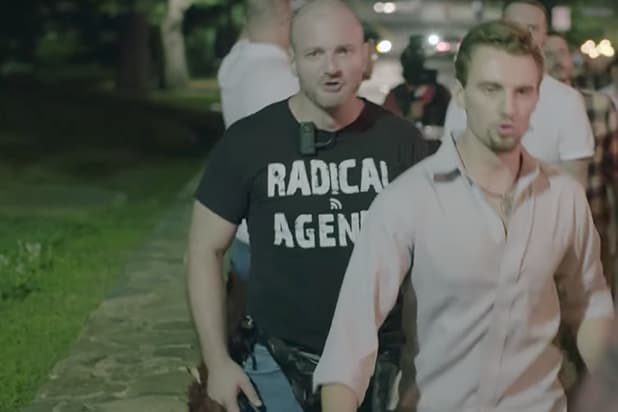 Christopher Cantwell, the neo-Nazi leader who was featured throughout Vice News Tonight’s viral special documenting the violence in Charlottesville, released a video in which he cries to police that he is “terrified” and “afraid” he will be killed. Cantwell paints himself as a tough guy who would “kill” if that was what it took to spread his beliefs. He starts off the video, addressed to police, saying he has learned there is a warrant out for his arrest but would need to appear at a public place to confirm the situation. Cantwell gets more emotional as the video goes on and, at one point, apologized to the camera for tearing up. He continues to cry when discussing that his group might talk a big game on the Internet but actually went through all the proper steps needed to organize the rally. He eventually says that he will surrender if police call him directly and assure him that they’re actually cops, because he is scared for his life.